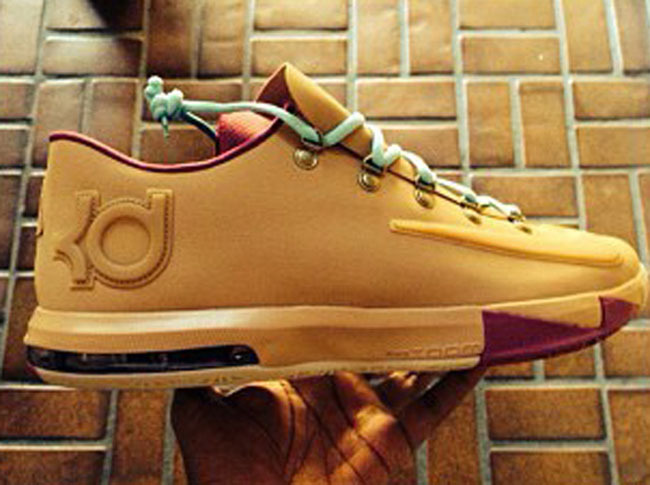 Nike KD 6 in "Wheat"
Check out this first look at a "Wheat" colorway of the KD 6. We've seen Wheat colorways of basketball sneakers before, like on LeBron's Air Zoom Generation. But this KD 6 appears to take things to another level with even more boot-inspired details than just the material and colorway. The upper's lacing system has been replaced by metal boot-style eyelets, and even metal grommets have been added to the medial side. There's no word yet on if these will be hitting retail, but what are your thoughts? Do you want to see these release? 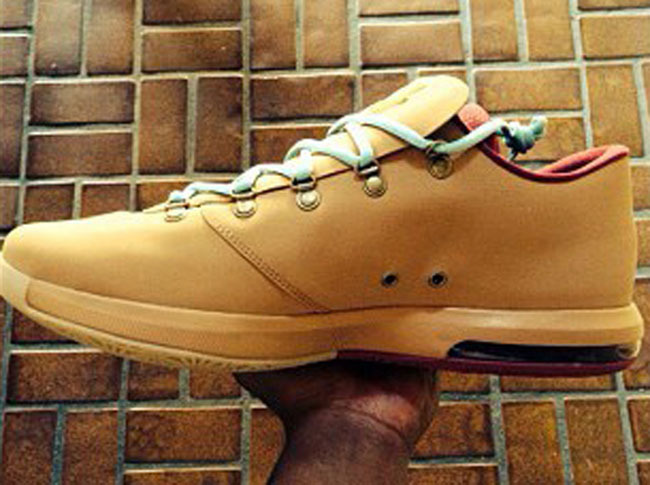 Do you like the "Wheat" concept on basketball shoes?